(CN) – A California appeals court slammed the state Department of Pesticide Regulation on Tuesday, finding the agency didn’t consider alternatives before approving two pesticides that might harm bee populations. The case involves commonly used pesticides called neonicotinoids, which protect all parts of a plant from insects. They work by interfering with insects’ nervous systems. 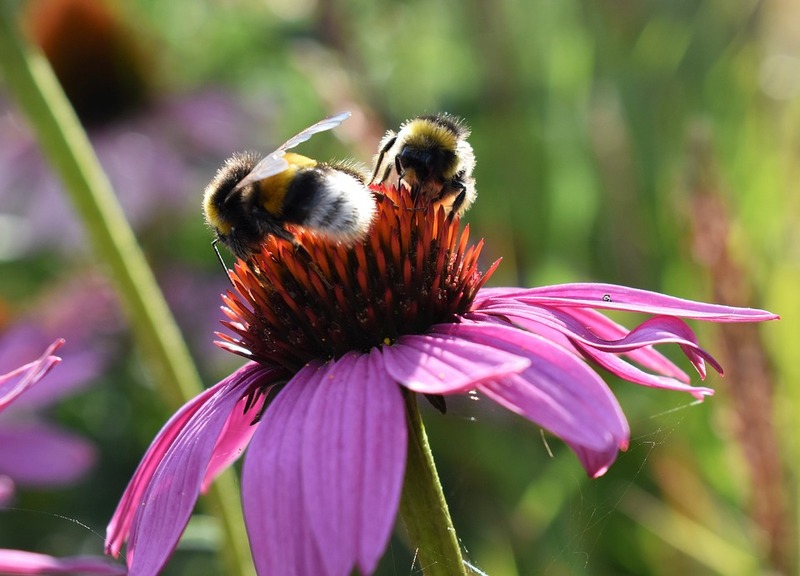 Alarming studies in recent years have shown a rapid decline in bee populations, and while scientists have yet to identify a single culprit, many consider pesticide use to be a significant factor. Spurred by data showing potential harm to honeybees from certain pesticides, California’s Department of Pesticide Regulation began reevaluating several ingredients in 2009. By 2013, the department said it did not have conclusive evidence that neonicotinoids harm honey bee populations, but continued the evaluations. A number of environmental groups sued the department and its top official in July 2014, claiming it “has taken no significant steps to protect honeybees” in its evaluation process. The litigation involves two neonicotinoids in particular – Venom Insecticide and Dinotefuran 20SG. The groups take issue with the department’s decision to expand the pesticides’ approved uses without analyzing their impact on bee population. The department had approved Venom to be used on fruiting vegetables and in increased quantities, and for Dinotefuran to be used on crops like onions and peaches. “Data indicate that neonicotinoids are acutely toxic to honey bees and other pollinators; however, [the department] does not yet have sufficient scientifically robust data to support a regulatory action to implement additional mitigation measures, over and above current label restrictions,” the department wrote. The environmental groups, including the Pesticide Action Network, sought a writ of mandate and injunction against the department, which an Alameda County Superior Court judge denied. But on Tuesday, a panel with the state’s First Appellate District sided with the environmentalists and concluded that the department did not comply with the California Environmental Quality Act regarding the two pesticides. “Based on our review of the department’s documentation, the department made no effort to analyze alternatives to the expanded use of either Dinotefuran 20SG or Venom Insecticide,” Associate Justice Peter Siggins wrote for the panel. The environmentalists did not have the burden to show alternatives to the pesticides, the appellate court concluded, and the department abused its discretion by approving the chemicals without alternatives. Furthermore, the department’s reports on the pesticides “were both so inadequate and conclusory that public comment on the draft was effectively meaningless,” Siggins wrote for the panel. Justices William McGuiness and Stuart Pollak joined Siggins’ opinion. The Pesticide Action Network praised the court’s decision in an emailed statement. “Given the crisis facing bee populations in California and across the country, and the resulting impacts on farmers and our food system, the ruling is welcome news and can help reel in the proliferation of bee-harming pesticides,” the group said. A representative with the Department of Pesticide Regulation said the agency will appeal to the California Supreme Court, but declined further comment.